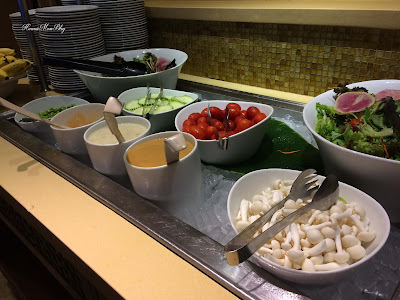 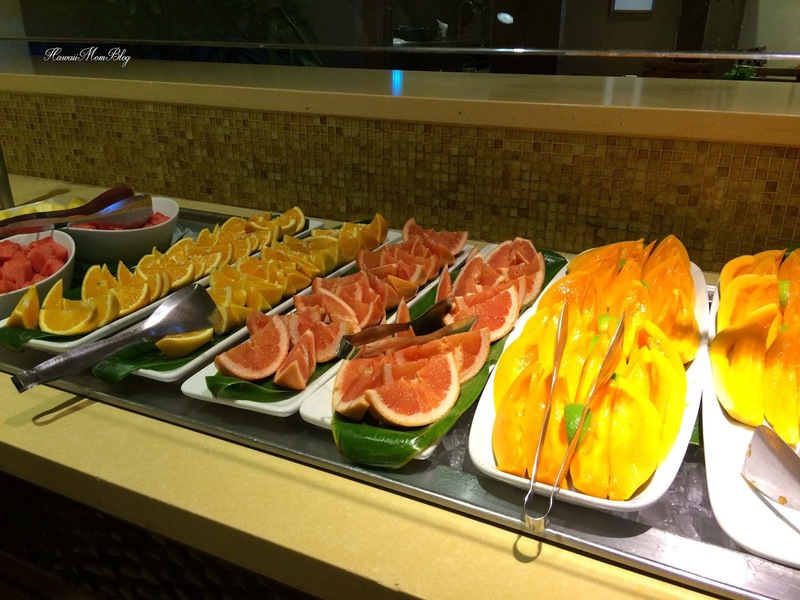 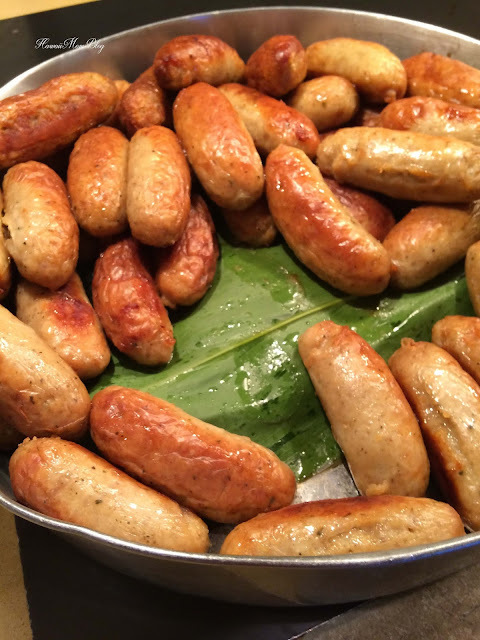 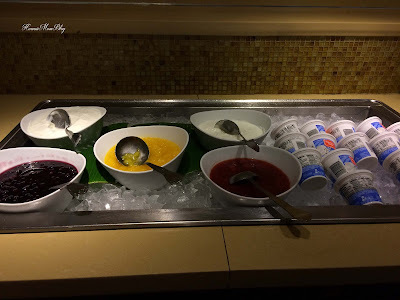 After such a great Seafood Night buffet dinner at Kai Market during our stay at the Sheraton Waikiki, we wanted to try the Island Breakfast Buffet ($28.95/adult; $14.50/child). 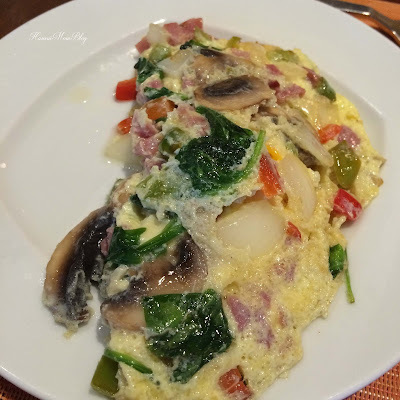 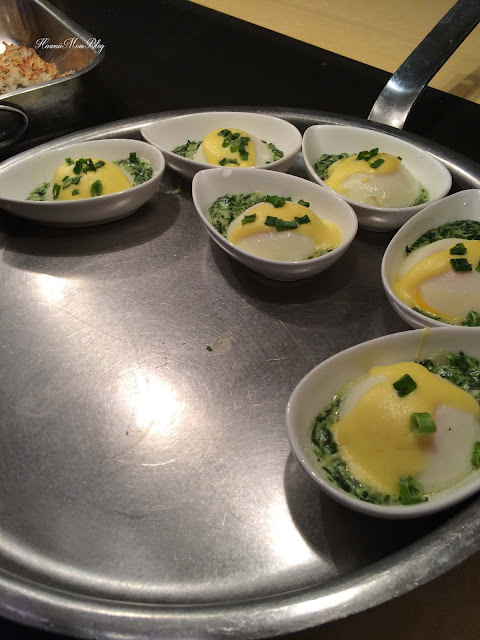 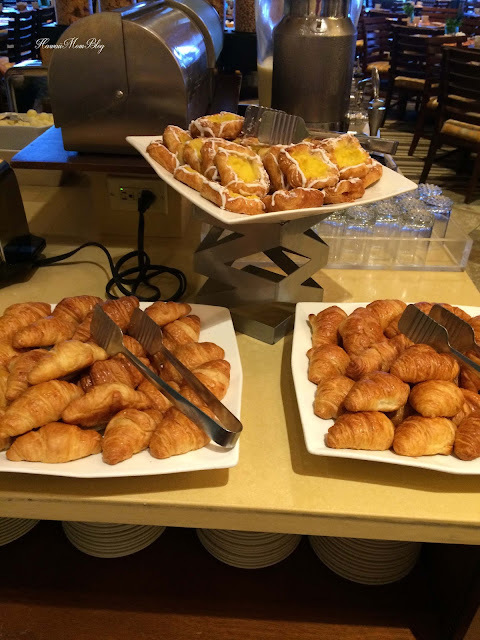 The Island Breakfast Buffet offers typical breakfast faves like eggs, bacon, cereal, bagels, plus a whole lot more, once again emphasizing the use of local ingredients. Also offered were miso soup, pancakes, salted meats, and many more breakfast options. 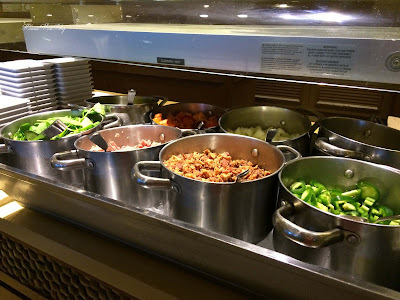 I'm a happy girl as long as there's bacon, eggs, and potatoes, and the Island Breakfast Buffet had all of that and more. 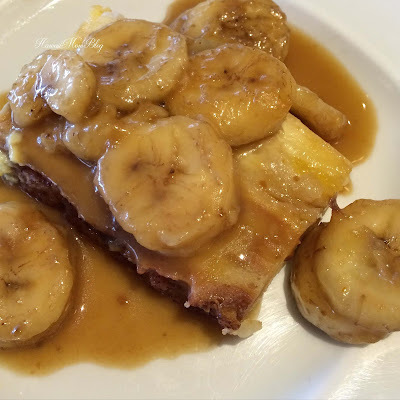 And although I love savory breakfast foods, my favorite item from the buffet was the bread pudding. 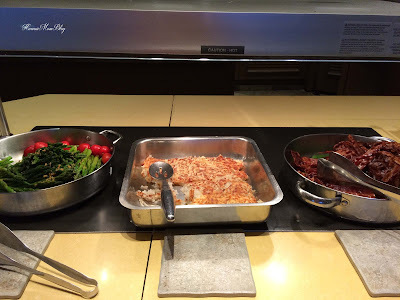 Everyone in my family enjoyed the breakfast buffet and the nice selection of dishes, and we once again were happily stuffed. Don't forget - kama`aina can get 25% off the buffet, and you can make your reservations now for Thanksgiving and Christmas dinners (kama`aina discounts not available; click here to check out the special holiday menus)! 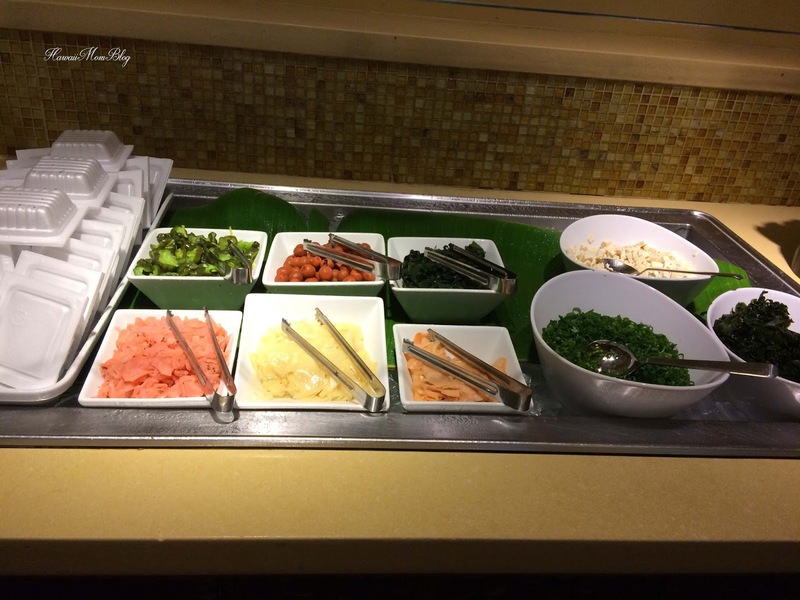 Thank you to Starwood Hotels & Resorts Hawaii for sponsoring a portion of our family's meal. Gratuity was paid on our own.